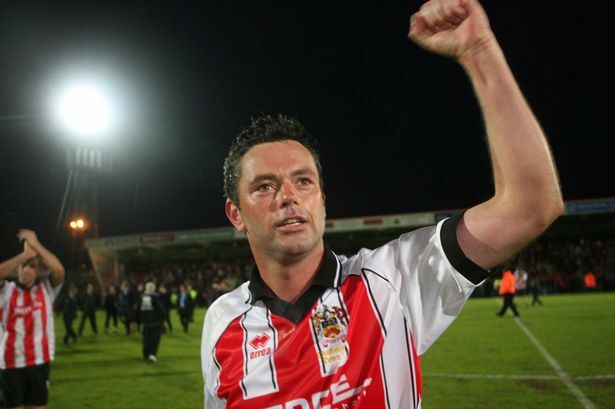 Does anyone have the records of previous football league managers for CTFC? I’d be interested to see how GJ compares to previous. Johnson the second best then. I would rank him third as Ward is not far behind but with a season at a higher level as well. I suppose Yates is the threshold. Four full seasons, five in total. Sacked for too many stale boring bottom third seasons and just under 36% win record. So far Gary is performing slightly better at almost 39% but without the two play-off seasons Yates achieved. 10-15 games is enough to see how this season is shaping up. That win rate needs to be up to 40% in my view. If it drops to Yates’ level that is the indicator for immediate change. Does Johnson's record include the Conference season? Where was Graham Allner, Paul Buckle and Russell Milton's records? Or do they not count as they were too short stays? Football League percentage as per the question is 26% for Gary Johnson. 26 wins from 100 games. Thanks for clarification. That is truly dire. 13 wins is what we should be seeing just from home matches, let alone all 46 games. Thirteen home wins a season works at an average of 3.8 home wins per 5 home games. Home wins and goals sell tickets and pay bills, and we are already on the back foot. Three or four home wins in next four home matches required. Johnson the second best then..
Third worst (currently) - just above the Chuckle Brothers. Yates 1.36 which equates to 62pts for a season. Johnson 1.05 which would be 48.3pts per season. It's struck me yesterday was Johnson's 100th league game. His record is 26 wins 27 draws 47 defeats. But, of course, we couldn't dream of getting anyone better. His supporters continually said last year we were building for this season. It couldn't have gone too well because he's already signed more than a dozen players and eight of them made their debut yesterday. There's no point getting rid of him any time soon as the new manager would be stuck with all his signings. Hope they come off but after two desperate seasons I'm not particularly optimistic. Yes Del and absolutely nobody seems to suggest giving him a new deal unless there is a noticeable improvement yet you want him sacked after the first game right? As stated above "There's no point getting rid of him any time soon as the new manager would be stuck with all his signings. Hope they come off but after two desperate seasons I'm not particularly optimistic." How you conclude "I want him sacked after the first game" from that I'm unsure. I would have said goodbye at the end of last season before he was allowed to spend all this cash on new players. See my later post after someone provided correct data. Yes. We should have gone for Grant McCann. Gary's fire has gone out. He's been handing out two year deals to most of these players as well. I hope this works out or we'll have a load of players we cant get rid of.